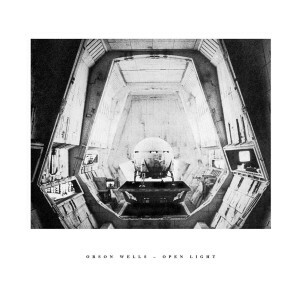 While our tour in Frankfurt, we met Orson Wells who released outstanding EPs on Live At Robert Johnson, Innervisions and Chiwax among other. Enjoy our exclusive interview with him about the importance of music during his adolescence, the first contact with electronic music and how the connection with Berlin’s Innervisions evolved. Hi! When was your first contact with music? My dad often played the guitar at home. My mother in particular was interested to give me an understanding of music, however, without forcing me to play a certain instrument. I started first with flute and then joined the school orchestra with the ambition to play saxophone. Initially, they offered me to play clarinet which was not really my cup of tea. We found finally a common ground with contrabass though. After improving my skills, I started to play in some private bands. Later, I learned to play the guitar as well. My interest in records actually got my parents enthusiastic about their neglected record collection including some limited Rolling Stones classics that are now highly-priced (laughter). Music was always around me and I can’t remember that I left home once without headphones. I was listening to a lot of jazz, blues, rock and played indie bands as well. I always searched for new input and also tried to acquire some profound knowledge about the music that I was listening to at that moment. I would say apart from music, drawing was also an influential art during my youth and continues to be. Could you imagine studying music? I am studying, but not music. Even if I love classical music, the study of music theory, i.e. analysing fugues, appeals simple too much technical to me. The essence of making music is for me personally the emotional part and not the technical implementation. My personal view is that understanding every chord combination may implicate a paling of charm of making music. A lot of times, you find a special hook just by coincidence and that fascinates you to continue. I’m afraid that having too much knowledge somehow disillusions that special moment. A good track does not need much but the right emphatic elements just to the point and this is exactly the challenge. Inflating something artificially destroys more than it creates. When did your interest in electronic music start? I had no contact with electronic music at all until three or four years ago. My friends Benjamin Milz and Emil Seidel, with whom I had also my first release on Chiwax, were already producing some electronic music and I knew Benjamin from a band I used to play with. Emil just asked me at that time if I could record some snippets with my bass. At that time everything was really basic and none of us had really studio equipment but our laptops. The fascinating point is that you could make music completely on your own without being dependent on others. I just knew the band perspective until that time. It’s so cumbersome to fix a date at which all bands members are available. Apart from that, playing in a band is always a consensus. You have your idea and each of the other members have their own. Producing electronic music instead offers you an entire freedom in any aspect and only you determine every part and alteration of the piece of music. How did the Frankfurt scene influence you? Frankfurt has a very concentrated scene enabling me to meet an incredible amount of fascinating artists who all gave me a warm welcome. I started as an absolute newcomer to electronic music but I had the chance to speak to very experienced producers or just borrowing equipment from others. Speaking from a clubbing perspective, you have to notice that this city is mainly dominated by an entertainment business that addresses the needs of a high-earning, white-collar elite where musical receptiveness is not necessarily priority. Hence, institutions like Robert Johnson are one of the few vital spots where you can immerse into nothing but music. The diverse programme offers you a broad spectrum. Retrospectively, it’s funny that the selector refused admission to me several times at the beginning because I’ve been too young (laughter). Are you are DJ or do you perform live? I haven’t decided that yet but I can’t imagine that I will ever abandon DJing. Simply put, I just love playing records. However, I could do an exclusive live performance. I actually have to invest a serious amount of time reflecting upon structure and combination of equipment for such a live performance that is also interesting for the crowd and not only for the artist. From an artist perspective, you can easily immerse into a 20 minutes sequence (laughter). My interest in melodies and punchy basslines determines also the content of my record case. I started to visit record shops frequently and had a very cliché entry into house music with productions of the likes of Larry Heard a.k.a. Mr. Fingers, the catalogue of Trax Records or NYC’s Strictly Rhythm. Harmonies are very important so minimal never had an appeal to me. However, I try to compile a diverse blend between classics and contemporary music from cheesy Italo-Disco to house, techno or wave. How is your approach to produce music? I try to finish a track in one go. It’s exciting to have a new synthesizer and you are trying to make the most of it. It’s somehow a meditative process immersing yourself in a basic loop and trying to add selectively more elements based on your experiences you have collected. I didn’t have a mentor or did a programming study. Everything I do is the result of an autodidactic approach. How did the connection to renowned labels emerge? I was never a type of person bombing every party around me with my demos. Relationship and a common ground in sound aesthetics are important for any collaboration. The release of my “Never Lonely No More” EP at Live at Robert Johnson aroused the interest of my agent Ali Tillett who is also managing the UK bookings of the Innervisions crew. The “Endless” track was already on my Soundcloud account and Ali wrote me that Dixon wants the track as a file. One week later, I received an email with offering me a release on Innervisions. Frankly said, “Endless” quite fits into Innervisions’ sound spectrum but what I respect even more is that they included also two more tracks that people wouldn’t expect from this label. Hence, the contacts evolved in a way which is in my opinion the natural path, i.e. that the label is approaching the artist and not the other way around. Can you describe the feeling of listening your own production for the first time in a club? This is definitively one of the most rewarding things. Standing on the dance floor at 1 AM and experiencing the reaction of the crowd to your music that you may have created during a sunny day in your room with headphones on is a very special feeling. It’s kind of transferring a special mood to a completely different atmosphere that eventually offers dancers an emotional feeling. People may wonder why you have a big smile on your face and this is exactly the charming thing about it: only you know the circumstances under which the respective track was produced actually. I just released my new EP “Open Light” on Live at Robert Johnson and an album on cassette via my local record shop Tactile Records. In the future there will be releases on different compilations and V.A.’s plus several remixes I did.